This 60 page magazine features 97 images, including contemporary illustrations, photos and artist’s impressions, the majority published here for the first time. It is printed in full color on high quality 80 lb semi-gloss paper with saddle-stitched covers and retails for $14.95. Also available is a downloadable PDF version for only $5.95. 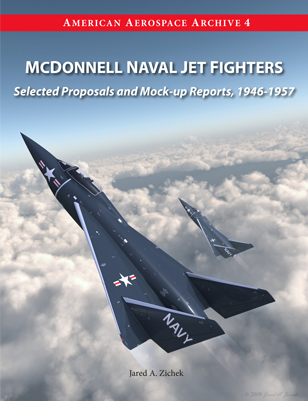 Click on the cover image above for a full preview and to purchase the magazine at MagCloud, the printer and distributor of The American Aerospace Archive. Also see the 8 page high resolution excerpt at Scribd. Check our Reviews section to see what other people are saying about this issue.